Paule Constable | Hamilton Dramaturgy's TheatreNow! Thank you to Women In Stage Entertainment (WISE) for posting my article, “Why I Created TheatreNow!” and my interview with Paule Constable. WISE was co-founded by Paule Constable and serves theatre professionals across the world. Membership is free. Mission statement: WiSE is a networking and professional development organization for women in the stage entertainment industry. We strive to provide a dynamic forum where members can share information, opportunities and support while promoting equity, equality, and sustainability across the industry. 3. To ensure successful women in the industry are more visible and provide positive role models. 4. To illustrate ways in which women can continue to work in the industry once they settle down and / or have families. 5. To encourage the industry to look at working hours and conditions, childcare facilities, jobshare potential, continuous learning, re- entry access points. 6. To carry out funded research into the issues that affect women in stage entertainment industry and the ongoing effects those issues can have. WISE is an organization that deals with the serious issues which currently profoundly affect a woman’s career choices head on. All contributions, ideas, suggestions are welcome. Paule Constable is a UK-based lighting designer. She won the 2011 Tony Award for Best Design for A Play for her design work on WAR HORSE. In 2005, she became the first woman to win an Olivier Award for Best Lighting Design, which she followed shortly with two more wins. This season, her designs will appear in three Metropolitan Opera Productions: DON GIOVANNI, ANNA BOLENA, and SATYAGRAHA. Welcome, Paule. Read the transcript from the interview here. Anne Hamilton: Welcome to TheatreNow!, a production of Hamilton Dramaturgy. This is a podcast series featuring some of the most exciting women artists working in the theatre today. I’m your host, Anne Hamilton. 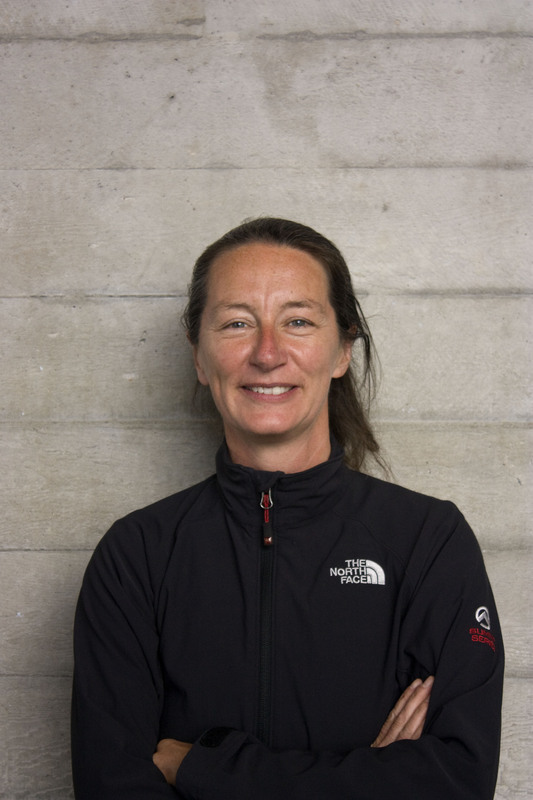 Today we are speaking with Paule Constable, who is a UK-based lighting designer. She won the 2011 Tony Award for Best Design for A Play for her design work on WAR HORSE. In 2005, she became the first woman to win an Olivier Award for Best Lighting Design, which she followed shortly with two more wins. This season, her designs will appear in three Metropolitan Opera Productions: DON GIOVANNI, ANNA BOLENA, and SATYAGRAHA. Welcome, Paule. AH: Well, you’ve got some very exciting things coming up this season. How do you feel about your Metropolitan Opera work? PC: It’s amazing. The Met is someplace you always imagined you might work one day or you hope you might work one day, particularly when you work a lot in grand opera as I do. But to be here is phenomenal. It’s an extraordinary building – quite big and brutal. And one of the things about working on opera on that scale is that you actually get very, very little time to do anything. You need a master’s degree in pre-thinking and organization to make a show work here; there is no time to develop or nurture ideas. It’s really hard, but cracking that, trying to find ways to be creative in it, in an environment which is so tough, is a challenge I enjoy. I wouldn’t like my work to be in that environment all the time. I would like it to be in a nurturing environment more often, but now I’m looking forward to it. It’s tough. AH: How much of your design had you completed before you came here? PC: You have to have prepared everything, really. So I spent a lot of time with both directors. Let me explain. DON GIOVANNI and ANNA BOLENA are both new productions. SATYAGRAHA is a revival of an English National Opera Production of a Philip Glass piece, so that’s different – that’s the question of realizing a design you’ve already made. The other two pieces, we spent a lot of time talking through, working them out in principle, talking about what we want. AH: Yes, I’m sure it will. AH: Well, let’s talk about WAR HORSE. Congratulations on your Tony Award. It’s very exciting. How do you feel? PC: I’m staying in the Beacon Hotel at the moment, and the last time I was here was the night we came for the Tony Awards because the Tony’s were held at the Beacon next door this year. So it was very weird arriving here on Thursday. The day that we came out for Tony’s, I arrived in Manhattan at five o’clock in the afternoon and I left at six o’clock the next morning. So it almost felt as I arrived [this time] that I had a moment to kind of suddenly enjoy it. I sort of went, “Oh wow! This is where I won a Tony Award!”. It’s been incredible; the journey of that show, and bringing it to Broadway. It’s a hard show. As an idea, it shouldn’t work. It’s a show which is about the imagination. It’s about taking the audience on a journey. We don’t make all the things happen. We didn’t create the show using scenery and using kind of heavy-handed theatre or spectacle. We absolutely created it using the simplest of means. We have no idea whether that would stand up on Broadway. We have no idea if the Broadway audiences were going to be willing to go on a journey like that. We try and appeal to people’s kind of childlike love of storytelling. That’s the principle the show works on. It’s very high risk doing that here and we really didn’t want to compromise that about it. Because if you start to change that, then even the horses won’t work anymore. Because the horses are only bits of bamboo and metal and nets, and yet within two minutes, the audience is just loving them and responding to them as real horses. So, we didn’t how that would work. We did a huge amount of work on the writing, on the structure of the piece. We wanted to make it more dynamic for Broadway. We wanted to make it more rigorous, in a sense. The writing is strong though, it withstands. It’s not necessarily only for a family audience, but it would withstand a kind of a wider audience. And also we decided when we brought it here that it was an opportunity to kind of re-engage as a team on the show. So, to do all that was amazing. To do all that and for New York to fall in love with the show had been beyond anything we ever imagined. So [for the show to win] five Tony Awards was exceptional, absolutely exceptional. I think it’s also brilliant for all the people who have supported us through the project and believed in us, because it’s a huge act of faith, almost. There’s no reason it should make sense. AH: And how did you become involved in the project? PC: It’s a strange contradiction again really, the show. The show is built on an absolute belief in the power of collaboration. So Tom Morris, who was the original producer at the National Theatre, had the idea. What happened is he’d seen Handspring [Puppet Company]. He saw the South African puppet makers. They brought the show to London, which involved them creating a giraffe on stage, and he was completely taken aback by this show, and sort of felt determined that he would find a book or a piece that would be appropriate for their work. I think he famously said that it was his mother who sent him Michael [Morpurgo’s] book. It was Michael’s first book. He wrote it in an attempt to try and articulate something really awful in a way that children could understand it, which is why he used an animal. And it’s a very emotive piece. Tom read it and immediately thought it was a great idea, and also realized very quickly that he was going to want a very specific group of people in the room to tell that story and bring it to life. So, about three years before the show appeared on stage I met with the other creators. It was myself; the designer, Rae Smith; the director, Marianne Elliott (three women); the Handspring boys, who are Basil Jones and Adrian Kohler; the writer of the original novel, Michael Morpurgo; the writer who initially did the adaptation, Nick Stafford; and Sound Designer Chris Shutt. We all found ourselves in a room talking about the possibilities of the show. So it was a very, very slow burn. We literally started in a room with a bucket and a piece of string, talking about how and what we believe stories could be, and how we could tell a story. And we ended up on WAR HORSE with a creative team of about fourteen people. So it’s an amazing exercise in passing the baton, and you can’t have an ego in a team that big. I think it’s very interesting that three of the key players in that room are women as well. And it is never easy, it wasn’t easy for any of us, but I think nobody could ever want to be top dog. So, it’s tricky. It’s tricky also because what we all see is slightly different, but what every single member of the audience sees is slightly different as well. So it’s a constant question. But the other thing that I think is really key about it is a lot of those relationships within that team. I mean the Handspring boys had never worked with us before, but Rae Smith, the designer, she and I have worked together for 22 years. Marianne and I, the director, she and I have been working together for fifteen years, since my daughter was first born. Chris Shutt, the sound designer, he and I first worked together in ’92. There are many relationships and they are all built on huge amounts of trust and shared belief in what we could achieve. Because, I don’t think on the scale of this show, that there’s ever been anything like it. I think it’s quite unique. So yeah, it’s been quite a journey. [Laughter] And you know as I said before, we never in our wildest dreams imagined we’d be here with it. So it’s been incredible. AH: Is this your first show that was transferred to New York? PC: I did a production of Tom Stoppard’s JUMPERS that was from the National Theatre that came here for a brief season. THE WEIR – which is a Conor McPherson play – I did the original production of that when that came to Broadway. What’s interesting about WAR HORSE is that it feels like it’s come very much under its own terms. I mean if I think about something like THE WEIR, [it shows the different choices involved in moving a show]. When we originally did that show, we did it in a tiny, tiny theatre which was part of the Royal Court in London. And the audience, well, we sat it in a room which was a bar, but a makeshift bar, basically someone’s front room in a farm in Ireland, based on a lot of observation. And the audience came in and sat in the room. So we had 22 people in the audience. And so the journey to make that into something that kind of sat in a proscenium-arched Broadway house, it was a testament to how good the play was. But actually the production, that was this beautiful little jewel of a thing, could have become this kind of much bigger thing. So it didn’t kind of stay itself, in a way, whereas I think our show [WAR HORSE] at the moment definitely has stayed itself. In fact, it’s growing more into itself bringing it here. AH: Are there plans to move it somewhere else? PC: It’s going to Toronto in January. So it’s a new production going on to Toronto. And it’s going to start touring the U.S. in the Spring of next year and it’s going to Australia as well. But I think what we’re learning about it is that, potentially, it has quite a universal appeal. So, we shall see. AH: Yes. Can you tell us a little bit about your artistic process? Specifically, how you lit the horses as puppets? PC: There’s a very clear language of ideas in WAR HORSE. The First World War sort of ripped the heart out of Britain and Europe in a very extraordinary way. When the war started, the British government sent artists to go and work in front lines, which they’ve done with other wars – World Wars, the Crimea. But they sent these artists to somehow to try and record what was going on. We didn’t have film, and we didn’t have photography to the same extent that we’ve got now. They also felt that paintings and sketches could interpret things for the public, whereas photographs were too literal. [The public] was quite frightened by photographs. And actually, what happened is that the First World War was unlike any other war that happened. And these young men who went somehow had to express something that nobody had ever seen before, and they expressed it in an incredible way with this whole vorticist, expressionist, extremist form of painting and drawing. And Rae Smith and I were very interested in this whole language, and how art had told the story of what was happening to this whole generation of young men, and how it’s very easy to share that. Now you can go to the Imperial War Museum in London, although actually it should really be called Imperial Peace Museum, it’s kind of such an extraordinary place. But you can go and see all the paintings, and they are beautiful, and harrowing, and upsetting, but they tell a very, very real story. So what we keyed into, and Rae started to develop, was the idea of an artist’s response to the situation. So before the First World War, lots of art that you saw in the U.K. was Edwardian, pastoral, beautiful. So we created the world that you lose in war – the world of the death of Devon, where the horse comes from. In very similar terms, she draws it. You see it drawn on a screen and it’s all very simple pastoral scenes. And for me, it’s all about warm tones and sunlight. All the light comes in from very, very high up. And it passes past the big cloud which sits above the stage, so we light the whole stage like a landscape. The idea is, it should make you feel nostalgic. And also it shares the space; it’s very open. You know, you see everything. And it also means that we’re free to light the puppets in a very solid way. We’ve got lots of light coming from very high up. We can light the puppets and light their front surfaces so they feel quite solid. And so, one, you’re aware of the puppeteers. You also see the puppets very, very clearly, and you see their skin and their surface, and you feel they’re quite solid and see their breathing really clearly. When we go into the First World War, we move from that kind of Edwardian, pastoral, idyllic, warm, nostalgic world. We suddenly go into a much more chemical world. The colors that the war artists used were very chemical; sort of acid greens, blues, harsh colors, and very dynamic angles of lights and line in their pictures. And we recreated that using very, very low angles of light and, rather than warm color, with everything cold and very edgy and quite aggressive. And what that also does is it means that all the lights come from very, very low down and behind the puppets. So suddenly, from being sort of three-dimensional beings, you start to see the line of them, and they start to become skeletal and vulnerable. You see them in a world full of machines, and you see the vulnerability within that. So we are sort of taking two very clear ideas from the art world and we’ve sort of created a version for ourselves in the WAR HORSE world. So you hope that the audience feels comfortable and warm and welcome at the beginning, and nostalgic, and it should make them subliminally think of summer days and beautiful landscapes, and clouds moving across the landscape. And then you put them somewhere where that will always be something they’ll miss. So when the boy is away looking for his horse, and trying to get himself and his horse home, that home has a value to you. You’ve already envisioned and kind of invested in it. AH: Who was the protagonist in WAR HORSE? PC: Protagonist? I mean, that’s an interesting question because we had quite a wrestle with that. Because certainly, in terms of the audience’s journey, it’s the horse. And in the second half, the horse meets another human who really helps him, and that’s a German. That’s one of the lucky things about Michael’s books – he doesn’t demonize people. So there’s a German officer who meets the horse and protects him and helps him through the war. So it’s sort of a triangle – the horse and the English boy and the German officer. Ultimately, it’s a love story between the horse and the boy. But the key person, the key character you follow all the way through, who’s consistent, is Joey. So yes, [the protagonist is] a character that doesn’t say a word. AH: Take note, playwrights. [Laughter] Let’s back up a little bit. I usually ask this question first, but I’ll ask it now. Can you tell us about your early artistic influences? PC: My route to lighting design was quite circuitous. I didn’t study it academically. I had no idea I wanted to be a lighting designer. Lighting design discovered me. I read English literature at a degree level at the University of London and eventually swapped and did an English and drama degree, but it was completely academic. It wasn’t a practical degree of any sort. I think that’s a very key point in the way that I work, because I’m really interested in text and analysis, and I’m obsessed with light, telling the right story and telling the same story [as the playwright]. I feel that there’s very strong dramaturgy with light. And I feel that that’s key to my work. I can’t do ‘arbitrary’. I get lost very, very quickly if I don’t have something strong to hang my ideas on. And I think that comes from the influences of my interest in literature, essentially, and all those kind of Geoffrey Hill characters, and all those people whose essays I read, kind of forever. I thought I wanted to be an English academic. In terms of actual lighting, I started lighting working in the music industry. There were a couple designers that I met very early on who kind of met me and said, “You need to push for this”, and also sort of advised me that the music industry wasn’t the most creative place to do lighting. I think that was very, very great advice that I received. I quite early on saw a lot of work by the brilliant Jennifer Tipton, who’s an American lighting designer, who I think is one of the most brilliant artists living. I think she’s amazing. And it was while I was working in the music industry and I saw her work that I realized that light could do so much more, and it had an active part to play without being dominant for its own sake, but somehow it could do more. So she was hugely influential. I said, “Okay, okay”. And then, as I kind of developed as an artist, meeting Rae was hugely important to me. She had traveled a lot, as I had. She’d worked in Japan, and then Slovenia. I’ve done work in Russia and I traveled a lot in Lithuania, Georgia, places like that, and have done quite a lot of international festival work. And when we came together, I think we found a mutual voice together. And suddenly I felt, I didn’t need to keep a lid on all those things that I was thinking about [regarding] how to make theatre. And also, [I was] kind of realizing slowly – through meeting Rae, and valuing her company, and looking at the way other artists worked – [that] my voice was different. And I think it’s partly because I’m me, and it’s partly because I’m a woman as well. I think, you know, we do have a very different voice. And that was one [way I started to develop]. In the U.S., you have quite a lot of very senior lighting designers who are women. We don’t have that at all in the UK. There were some who have come through who are older than me who have sort of, in a way, given up because they’ve just stopped banging on the door, because the door just wasn’t going to be opened for them. And it’s changing, but painfully slowly. So meeting other women who could empower me to keep going [was important]. And [it was] seeing people like Jennifer, Mimi Jordan Sheridan and Heather Carson, and Pat Collins, who were amazing American lighting designers, who were scary and brilliant, you know, that you kind of went, “Okay, it’s possible. It really is”. AH: Do you have any dream projects that you’re thinking about? AH: That would be great. PC: I don’t want to work with people who just want me to turn lights on and off. I don’t want to work with people who want to tell me what to do. I want it to be a conversation. I don’t want to work with people who have really fixed ideas about what they want. So in a way, when I think about what do I want to do in the future [the collaborative process is very important]. I’ve been really fortunate to stay challenged and I really enjoy working with collaborators who not only really work altogether, but who question you in a way that can make you re-look at what you’re doing, and can make you move it on more. It’s rare, I think, [for me] to ever walk away from a piece of work and think it’s good. I think ninety percent of the time you walk away, and [you feel] it’s okay. And then there’s a tiny bit of the time when you kind of walk away for a moment, you go, “Actually that moment was quite [good]. I’ll keep that one”. And it’s only a moment. It’s never a whole show. So, in the future it would be great to do a whole show [that I felt was really good]. [Laughter] Well, that would be one thing to aspire to. So for me it’s about my body of work as opposed to just one particular piece. Because also, the thing about lighting design is [that] my function is entirely reactive. So if I’m being asked to do a show, generally I’ll let the director and designer work together [first], to sort of have a sense of how they want to do that show before I get too involved. Because I think it’s not for me to arrive and go, “Oh, I’ve decided it should all be purple”. You know, it’s like they come up with what they want to do, and then I bring that to life. It’s not for me to kind of interpret that separately. Everything that I do in terms of design has to fit in with the storytelling, and the way they’ve decided to tell the story. So, yes, [I want to] just keep working with good collaborators. AH: And do you have a set process by which you would approach a script? PC: It slightly varies. I mean, it’s interesting with shows. There are shows that you know – perhaps because of the way you’re going to tell the story, or the work you’re going to do – are going to be very demanding and they’re going to require a huge amount of time from you in rehearsal and a big input, and that lighting is going to be quite a strong part of the muscle of how the show moves. There are other shows where the light is very much about the architecture of the space, and then the play will play out – or the opera will play out – within that. And quite soon after something’s been designed, you can get a sense of which sort of show it is, how much time they’re going to need you for. Whichever kind of show it is, I do spend a lot of time in rehearsals. I think again, because I can come from a devised theatre background, I’m very bad at making things up without seeing them. I also really enjoy watching the rehearsals. I really enjoy that part of the process. It seems to me lighting is so difficult to pin down because you never get a chance to do it until you’re in the theatre. You don’t get to make a model like a set designer. You don’t get to do drawings like a costume designer and [have] fittings, and try things. So in a way, being in rehearsals, for me, is part of me just imagining, sort of smelling, kind of feeling, what something will be like under light. Getting a sense of it, being alive in three dimensions, just to try and help it be less of a highjack when I find myself in the theatre, really. So it’s just more a chance to kind of apply, and see, and think, and feel it. So, I spend quite a long time doing that. I often describe my process as being a time of orbiting a piece. So, you know, you make a decision to do a show, and then you get involved with the whole process of how lights are going to function within that show and what the design is, and what my input to that is and very boring things like where I can put lights, and the technical problems. And then [you approach] all sorts of ideas that the designer and the director had been working with in terms of reference material and periods. You are just grabbing at any useful information you can, anything that can make the choices you make as a designer informed. So then I just keep circling, like an aircraft in a holding pattern, until I come in to land. So, you’re kind of just closing in and closing in on that through rehearsals. And the interesting thing is, you put the lights up and you point it in the right place when you do the tech, but you can still change things. You’ve still got to keep feeling like you’re circling, not that you’ve stopped. You’ve got to keep looking and keep trying to think if something is right, or if it can be better, in terms of pictures and rhythm. I remember when I very, very first went off to Goldsmiths, I thought I might want to direct. And the more I saw theatre, the more I thought, “How on earth do you direct?” Because even just one tiny bit of this picture is so complex and a lifetime’s work. How do ever finally go, “I want to do it all”? I mean, I can think about great directors, and they’re great collaborators, aren’t they? That’s what makes them brilliant. It’s the ability to put the right people in a room. It’s about casting, not only of actors, but of the creative team. AH: Yes. Could you explain to us the basic properties of light? PC: It’s quite an interesting question. When I think about light coming into a space and activating the dark space, the first thing I tend to think about is where that light is going to be. So I determine where it’s coming from, and how it hits the space, how it hits the performer, how it hits the architecture. I’d like, in my work, for there to be a sense of the lights coming from a certain place for a reason. So that thing about angle, I think, is really critical. I think in that way because the majority of my ideas come from something that I’ve seen. So a lot of my ideas come from what are essentially naturalistic images to start with: daylight and how and where we see it; the sense of dawn and dusk; and lowlight and highlight and how that shifting angle just absolutely changes the landscape of the world we live within. I find that fascinating. And it’s fascinating that in fact, we can feel those long, low shadows – those shifts of dawn and dusk. That’s the reason Chekhov wrote all his plays with those amazing scenes, which are descents into darkness and revelations into dawn. It’s about moments of change, and the angle of light in those moments is really critical, and we’re very aware of it as humans. So I love playing with that. I love angles. With color, color is a weird one for me in that I know that I don’t naturally think in terms of saturated color, because again my palette tends to come from a heightened naturalism. I tend to think of the light as being warm or cold. I don’t think of it as being red or blue. I might get to something that’s kind of blue-er when I’m thinking about the light before dawn when it’s all very gray and you can’t quite see to define things properly. Or sometimes I’ll accept that I need to heighten it more and make the audience more conscious of what’s going on. I tend to start from a very stripped-back palette, but the gradations within that approach are enormous. Even if you’re thinking warm and cool, the separation between red and blue is vast and huge. So that’s color. There’s intensity, which has to do with darkness, and that’s a very interesting area because I think it’s a very active area to do with how an audience perceives things. You can actually get away with very, very low levels of light in theatre, if you take the audience on a journey where they feel safe enough to go there. If they start [watching] and everything feels opaque, and they can’t see it, then everyone tends to get frustrated. But actually, you can really lead people to looking at very dark images, and I love playing with that, partly because darkness is our friend, and it also makes the lighting look better, right? So angle, intensity, and color, they are the three basics really. It sounds very simple, doesn’t it? And then how [it’s about how] we put all those things together. But yes, that’s it really. AH: And I have one question about theatre criticism of a production. I was trained as a theatre critic when I went to Columbia, and one of the things we were responsible for critiquing, of course, is lighting design, as well as the other design elements. Obviously, it’s very difficult to do that, and you have to be trained, but we were not trained to perceive lighting design by a lighting designer. We were trained to do that by theatre critics. So do you have anything to say about how theatre critics could better interpret lighting design? PC: I think it’s very difficult to separate disciplines out. You sort of hope, like an audience member, that the critic is looking at and experiencing the whole. And the golden rule for me is I think good lighting tells a story and bad lighting doesn’t. I mean, we know those moments when every element in a production is absolutely driving towards the same [place]. Even if it’s a kind of contrary juxtaposition or whatever, it’s driving to the same place, and that’s what I think we should be trying to achieve. We should be trying to achieve work where we are greater than sum of our parts. I think you can say, [for instance], “The light of that moment really made the end of that Ibsen play happen because the dramatist is demanding that of us. He has thrown down a gauntlet where a sunset, a physical change in the space, becomes a character in the story”. But I don’t necessary think it’s healthy for a critic to separate out [the lighting elements from the rest of the production] completely. So I think it needs to be seen in terms of the play, doesn’t it? So that’s my feeling. I get very cross when I go and see shows and they’re lit for the sake of being lit. You’re just kind of, “Lights go on here, lights go on there”, and it’s kind of nothing to do with the kind of the world we’re in, or [with] trying to make something sort of feasible or credible for an audience. In a way, it should feel seamless, and that’s what I think good lighting should be. Not invisible. Invisible, if that’s what the play or the production demands. But sometimes the play or production demands something that’s very dynamic, like with WAR HORSE. But I hope that it feels like [the lighting is] right within the context of the whole, even though it’s very “front foot” in that particular show. Whereas I’ve I just done a production of DIE MEISTERSINGER, which is five-and-a-half hours of Wagner, and there are probably only about forty cues in the whole thing, because it’s absolutely about: “You make the space. You tell the story of the light that comes into the space. And they play within it”. You don’t need to do any more than that. You trust the music in the space, and the light is basically just telling you more about the quality of space that they’re in. AH: So I hear a lot of themes: unity, trust, seamlessness, depth, understanding of the text. It’s wonderful insight that you’ve given us, and I thank you so much for sharing it. PC: It’s been an absolute pleasure. TheatreNow!’s Sound Editor is Otto Bost (http://www.folkdude.com) and our Program Assistant is Cate Cammarata. Visit http://theatrenow.wordpress. com to subscribe to our blog and get notifications when new podcasts are released. Hamilton Dramaturgy is an international script development consultancy located on the east coast of the United States. You may contact Anne Hamilton at hamiltonlit@hotmail.com. © 2011 Hamilton Dramaturgy. Episode Three with Paule Constable Recorded – Stay Tuned! On Saturday, I recorded a wonderful TheatreNow! segment with Paule Constable, a lighting designer whose interview will comprise Episode Three of Season Two. Paule is now lighting three shows at the Metropolitan Opera – new productions of DON GIOVANNI and ANNA BOLENA, and a revivial of Philip Glass’s SATYAGRAHA. She discusses her experience working at the Met, her preparation for her collaboration on WAR HORSE, for which she won the 2011 Tony (R) Award for Best Lighting for a Play, and she gives us a primer on the properties and creative uses of light. I am now preparing the transcript and will post it shortly. After editing, the podcast will follow. Please check back shortly to hear this wonderful interview, or subscribe to my blog and the podcast and transcript will come to your inbox! Paule Constable and I had a wonderful interview on July 7th. However, due to technical difficulties, we will have to repeat the interview to secure a recording . It is currently scheduled for early August. You will be in for a treat. Paule discusses her aesthetic process, winning the Tony (R) Award, the qualities and power of light, and her team collaborations on WAR HORSE with Rae Smith (Set and Costume Designer) and Marianne Elliott (Co-Director). So, hold your horses. The interview’s coming! Paule Constable knows when she’s working at her best: “I’m happiest when the lighting and the emotional language of a piece become one.”The UK resident has been a key creative designer on several of this year’s most lauded productions and recently the proud recipient of the 2011 Tony (R) Award for Best Lighting of A Play for WAR HORSE (Lincoln Center Theatre). She made her mark in 1992 with a groundbreaking design for Theatre de Complicite’s STREET OF CROCODILES, the first show lit by a woman at the National Theater, which toured the world. In 2005, after years of nominations, she became the first female lighting designer to win the Olivier Award (HIS DARK MATERIALS, National Theater) and promptly made it a triple, winning again in 2006 for DON CARLOS (West End), then again in 2009 for THE CHALK GARDEN (Donmar Warehouse). Please check the blog in mid-July to hear a podcast of Paule on TheatreNow!